What is the name of your cat? Why did you choose that name? 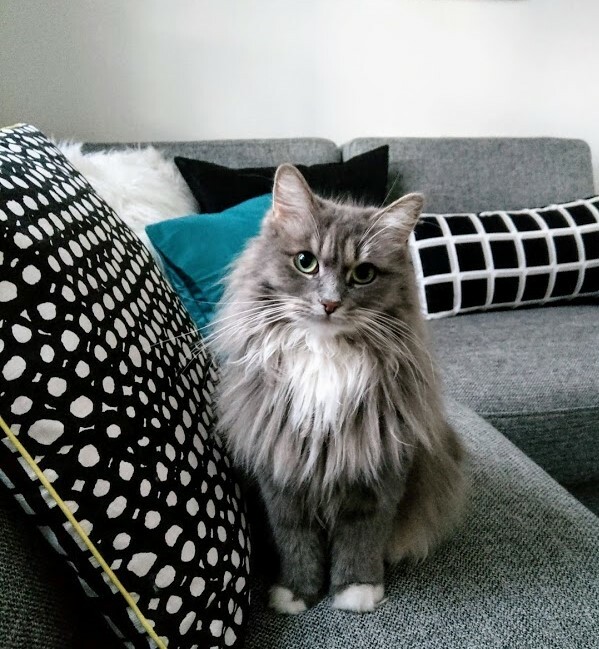 Nila (pronounced Neela) was my first Siberian, and I chose her name, because it actually means Blue, which is her main colour. Milo (pronounced Meelo) got his name because it kind of went well with Nila. Nemi got her name for similar reasons – it goes well with Nila and Milo and besides I love the Norwegian cartoon character named Nemi. Nila is 5, Milo 4 and Nemi 2. We live in Copenhagen, Denmark. I’m super allergic to cats and dogs, but randomly discovered that some pets are allergy friendly. 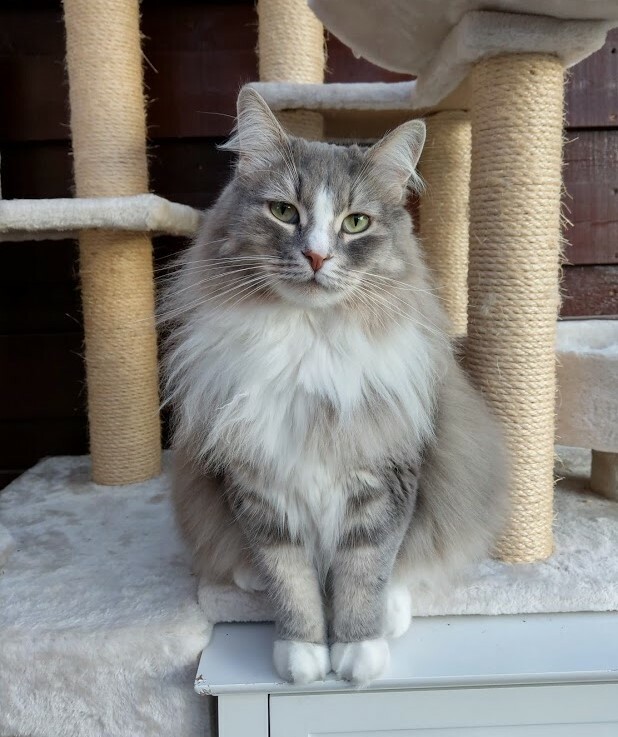 I visited a Siberian cat breeder to see if I could tolerate the breed, and three cats later it’s safe to say that Siberians are awesome that way. I serve mainly high quality wetfood for all three. I would love it if they would eat rawfood, but only Nemi likes it. Milo and Nemi are besties and love running all over the house together. Nila loves running up the scratching posts that go all the way up to the ceiling. They have a ton of toys, but they rarely play with them. The only toy they all play with regularly is Kong Kickeroo. What does your cat love doing most? Nila loves going on walks on a leash. I take her outside like that pretty much every day. Milo loves hanging around me, and follows me like a dog. If I’m on the computer, he’ll sit next to me and put his paw on my arm when he wants cuddles. Nemi loves Milo – and watching birds. 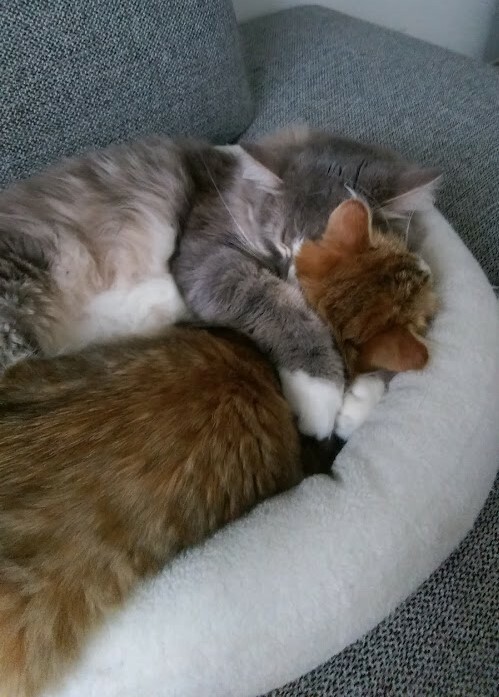 When she was a kitten she would meow for Milo when she couldn’t find him. It may not be a funny story, but I’d like to tell about how I went from one cat to three. When we first got Nila, we thought she might like a companion when we were away at work, so we got Milo. For a while everything was fine, but as Milo got bigger, he liked to tease Nila, and she hated that. All Milo wanted was to play with her, but she’d have none of that and it was probably frustrating for the both of them. I researched cat behaviour to see if I could find a solution, and I was surprised to see that many recommended getting a third cat. By chance, the breeder I got Milo from, had a female kitten that another buyer had rejected because she wanted a male kitten instead, and I made arrangements to bring her home. I was worried that the new addition would create more problems, but at the same time hoping that Nemi would give Milo the playmate he so desperately needed. Fortunately, everything worked out wonderfully. Nemi and Milo truly love each other, and Nila is for the most part left alone – exactly as she likes it. I love that they’re such friendly and gracious creatures. I love how they each have completely different personalities. And I especially love the fact that I can have a pet again – despite my allergies. Having pets is just truly rewarding. There are no downsides in my opinion. Yes! 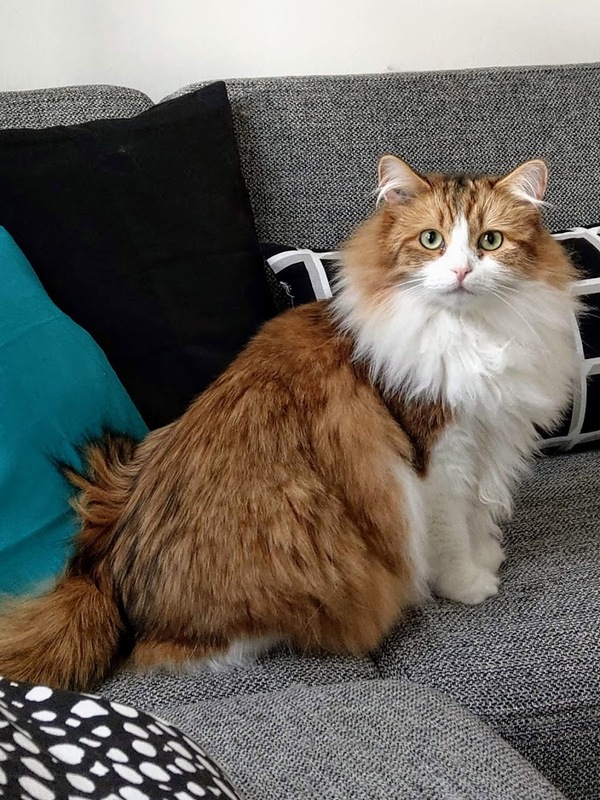 I realize that others have mentioned that the shedding isn’t too bad, but when you have three cats, the shedding is definitely noticeable. I have three vacuum cleaners – and I’d recommend getting a robot cleaner as it takes care of most of the shedding. I don’t travel with my cats. If I needed to be away, I’d get someone to take care of them in their own house as I think it’s better for them. I’d never leave them in a ‘cat hotel’. Definitely! It’s an awesome breed and they’re so, so beautiful. I also like the fact that it’s a ‘natural’ breed, so that they don’t have any health issues.